Impostor syndrome is defined as a concept describing individuals who are marked by an inability to internalise their accomplishments and have a persistent fear of being exposed as a “fraud”. It reflects a belief that you are inadequate, incompetent and a failure despite the evidence that indicates you are quite skilled and successful. Are you reading this now and thinking this isn’t about me because I’m not skilled and successful rider? That could be your impostor syndrome talking! The horse riding industry can be a fickle foe. For every little win we have there are plenty of peers to tell us “we still aren’t there yet”, “you still haven’t got it”, “you still aren’t good enough”. In fact, this has happened for one of my students recently that every time she went out to have a go at associate, social competition level, a reputable instructor would sneer and make snide comments about her and tell her “she’s just not there yet”. This is enough to make anyone doubt their skills, and make them feel like they aren’t good enough and they shouldn’t be out even trying. But its not just my novice riders looking to have a go at competitions, it’s also my beautiful weekend warriors that have just always wanted their own horse but between juggling their jobs and their children’s social engagements and family time they may only have time to ride once a week. So often I hear “my horse would be better if it had a different rider”, “maybe I should sell my horse because I can’t take them to their full potential”, “my horse deserves someone better than me”. The fact that you care enough to think this about your horse and you feel guilty that you can’t spend more time with it proves you are perfect for your horse and they are in a loving and caring home. Impostor syndrome shows up when we want to progress. We want to reach out further to develop ourselves as a rider. We want to be more engaged in our riding community. When we try but oh dear what if we fail? When we show up but oh dear what will others think? When we work solidly towards a goal but oh dear we’ve been working on this for months now what if I don’t get any better and all this effort was a waste and was for nothing? When we set ourselves goals but oh dear what if we aren’t good enough? Impostor syndrome and perfectionism go hand in hand. How many times have you baulked out of a competition or a trail ride because you just don’t quite have things right or your last ride didn’t go as well as you wanted it to? Have you set yourself high goals and then as you start working towards them experience major self doubt, told yourself you can’t do it, you aren’t good enough and given up? Maybe only temporarily because its something you really desperately want but then the next time you try you get stuck at the same place and it only seems to confirm that you actually can’t do it? This could be your impostor syndrome, getting in your way. In your personal life you may also believe that if you want something done right, you have to do it yourself. You may also have difficulty delegating tasks and feel frustrated and disappointed with the results when you do. You may feel like your work has to be 100% perfect, 100% of the time. You run the risk of being burnt out because you are always micromanaging your life and the lives of those around you. Success is rarely satisfying because once you’ve ticked off a task or achievement you are already onto your next. Even when you give it your best and do a great job you still feel like you aren’t good enough and you could’ve done a better job. - There never is a perfect time and your work will never not be critiqued and criticised. - Accept that to learn is to make mistakes. - Celebrate little wins like not falling off, actually going to that competition you were terrified to participate in, your horse stood still long enough to groom it and then remember to reflect back and see how far you have come together. It is my belief that a lot of horse riders are this personality type because if you weren’t you would have given up long ago. I also believe that horse riding offers this kind of personality solace to relax and be themselves around someone they trust. It’s such a double edge sword because they have goals they want to achieve with their horse but then those goals interfere with the reason why they got into horse riding in the first place. Do you feel like when you engage in your social events and are riding with others you are scared they will find out your secret? That you actually aren’t as good a horsewoman as you want to be? You have been riding your whole life and you know a dang lot about horse husbandry and riding but maybe you didn’t always have structured lessons. Maybe you have a good working relationship with your horse because you know how to put the work in but just not quite kicking those goals you were hoping to achieve. Maybe you avoid going to those competitions and events because you know you and your horse aren’t going to show up as you would like. Maybe you are going to lots of different training’s and clinics because you feel like you need to improve your skills to succeed? Even though you’ve been doing it for a long time you still feel like you don’t know enough. Seeking out more training can actually be a form of procrastination. What you are missing here is your fundamental understandings. You know what works for you and your horse but little pieces of information are missing for creating the whole picture. This was a very important lesson for me when I first started learning to be an instructor at a riding school. I had achieved a lot with my riding career and gone far with my horse in the junior competitions. I had always had a lot of support and my mum ensured I had 2 lessons a week for most of my riding life and would compete every weekend. My horse and I were a mad team. 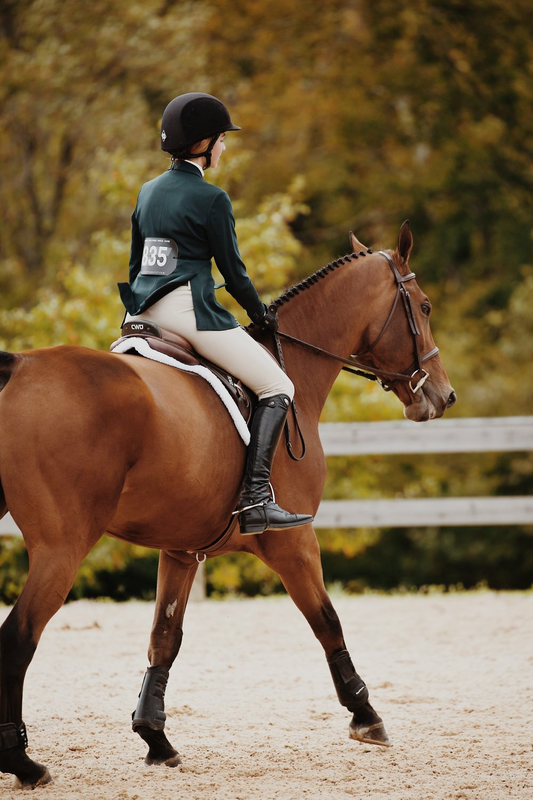 However, when I started riding the different horses at the riding school I noticed that some of the things that worked for my horse didn’t work for them. Over time I noticed that these had to do with the level of education of the horse and their personality type and conformation. So there are certain things that translate well across all horses but then the individual requirements of the horses would differ slightly. 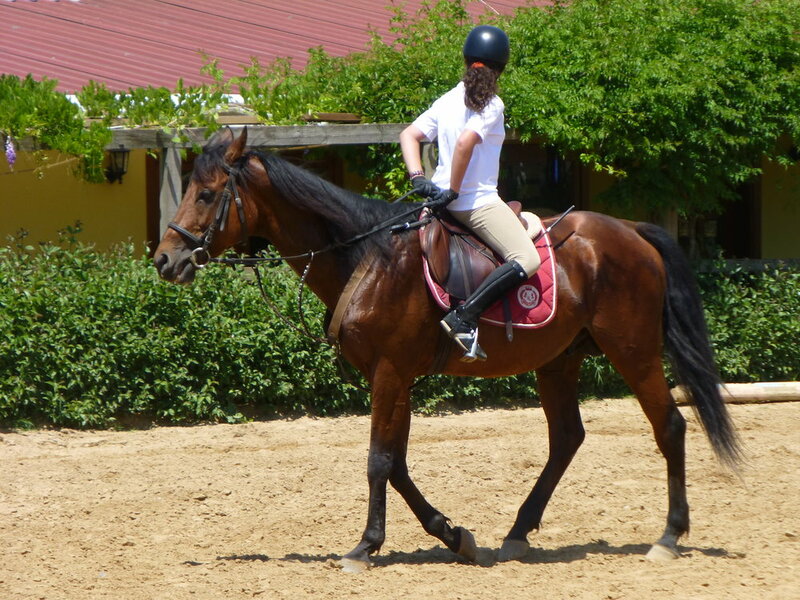 - Go back to your foundations, look for the gaps in you and your horses understanding and development. - Figure out what you believe in, what your moralistic fibers are so that when you experiment with other peoples training techniques you can use what works for you and discard the rest rather than trying to integrate everything they do. This is the key to success as a rider. To understand who you are as a rider and integrate other riders tips that suit your personality and your horse and rider combination. To achieve this you have to truly know and ACCEPT yourself. If there is a part of your riding that you don’t like how can you shape that into your strength? How can you make that what sets you apart from other riders? Truly finding acceptance for who you are as a rider, where your strengths lie and love for your ability while understanding there is always room to learn more and grow is what makes you a good horse rider. Internal validation and positive affirmations. Our self talk has a huge impact in what we are capable of. We can talk ourselves out of putting in the work if we are constantly sometimes not even consciously saying to ourselves “I can’t do this”, “this is too hard”, “why do I bother”, “we aren’t good enough”. Especially as adults we don’t often have our sideline cheerleaders saying come on you got this and when we do its often our husband or parents and we think oh what do they know, they have to say that whether its true or not. We have to become our on cheerleaders. We have to become conscious of our self talk and feel into the fear to come out the other side. A lot of time the one thing that is holding you back from your dreams is the way you talk to yourself. Are you positive about your efforts and your achievements so far? Or when you reflect on your efforts does it bring up negative feelings and make you feel bad about yourself? Feeling bad about your efforts is your impostor syndrome showing up and is a sure fire way to give up.